A personal flower of mine is the peony rose, probably the reason for this is that its only available for two months of the year and it feels like a treat working with them. 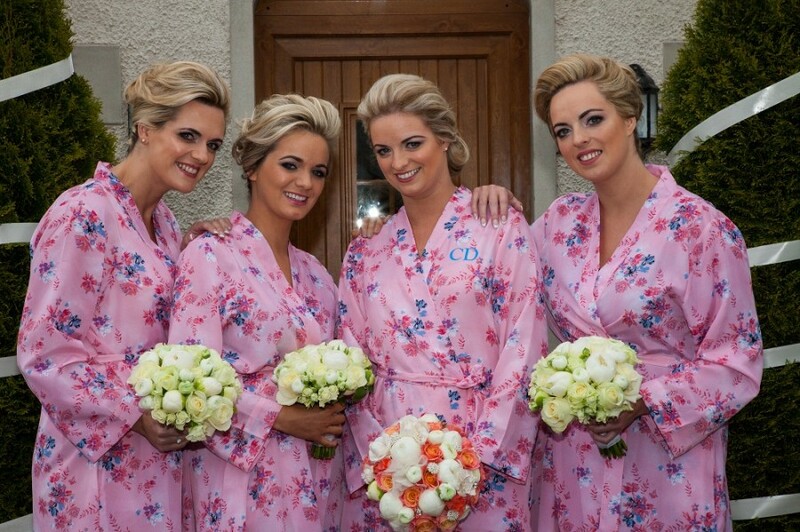 Lucky for Claire having a May wedding she was able to have them in both her own bouquet and her bridesmaids. As you can see below in the photos they are of exceptional quality and beleive it or not we have had brides in the past organising their wedding date around the availability of the peony rose! She opted for ranunculus and a light orange rose to compliment her bridesmaids dresses and some small brooch details to finish the look. For the ceremony she lined the aisle in Ederney with large cherry blossoms trees and ball trees to finish off the door decor. Have a look at the images below to see how beautiful she looked…..